Kingsfoil Salve is one of the products you'll find on the Etsy store for Old Growth Alchemy, a Burlington business specializing in herbal bitters, teas, botanical syrups, incense, body oils and cordials. The ointment, with a base of olive oil and beeswax, sounds self-explanatory: It's made from a plant called kingsfoil, right? Nope. 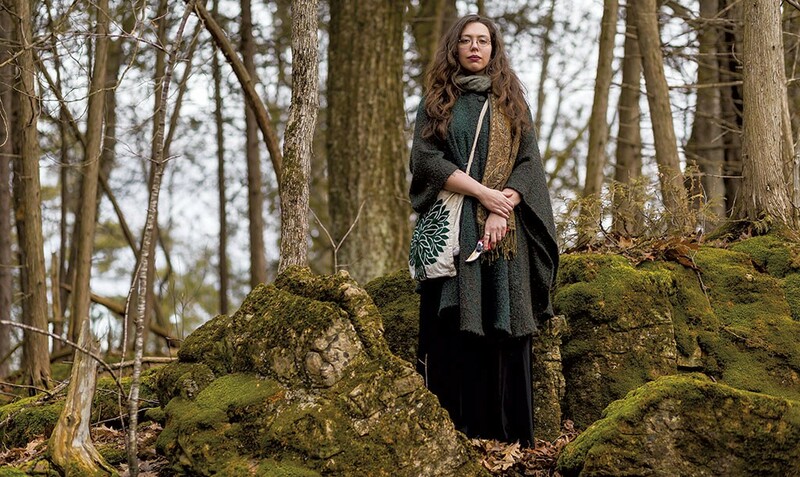 Kingsfoil doesn't grow around here, and Old Growth Alchemy owner Ashley Nunez, 25, crafts her products from leaves, bark, needles, cones, stems and roots she harvests in the nearby woods and fields. "I use as much local, wildcrafted material as possible," she says. "Almost everything I use, I've harvested myself. I'm focused on place." As for the sweet, pungent kingsfoil plant, which thrives in thickets and can be used to disinfect wounds, it's only to be found in J.R.R. Tolkien's Middle-Earth. Nunez's Vermont version of the fictional plant is a blend of herbs that collectively offer some of its properties: tulsi, comfrey, St. John's wort, plantain and self-heal. Another listed ingredient: magic. While Nunez may purport to add a bit of magic to her products, she doesn't claim they have healing properties, supernatural or otherwise. Although she has apprenticed with herbalists, her passion is using plants for their sensory properties rather than their medicinal ones. Whether her products are delicious cordials — perfect sipped from tiny, delicate glasses — or sensual body oils, Nunez makes them to ignite and delight the nose, skin and tongue. Shrub is a traditional drink made of vinegar infused with fruit or herbs. One of Nunez's versions is pungent and aromatic, flavored with the flesh and pits of peaches, white cedar, honey and Thai basil. Her Idunn's Golden Apples Elixir is more delicate, with the flavors of apple, chamomile and orange peel. An incense called the Wild Hunt, which she suggests "sprinkling on charcoal embers in a candlelit room," contains pine twigs, Norway spruce cones, myrrh and cumin seeds. "In my formative teenage years, I read a lot of high fantasy literature, and I wanted to experience [the places] so badly," she says. Wandering through the woods, the scents and sights of flowers, trees, mushrooms and moss evoked other worlds. For instance, pineappleweed, an overlooked wildflower that commonly grows on the roadside, brought to mind "a clear pool on the cusp between winter and spring," she recalls. When she cooked, the "cheery and bright green" aroma of dill made her envision dryads, the spirits of trees in Greek mythology. Her perspective on food and cooking changed when she came to Vermont to intern at Metta Earth Institute, "a center for contemplative ecology" in Lincoln. There, "we cooked with what we had an abundance of," Nunez says. "We made ferments. I learned the nuts and bolts of what it means to live off the land, and I was in a completely different relationship to food than I had been." After that experience, says Nunez, the old ways no longer seemed fulfilling. "When I went back to Massachusetts," she recalls, "I went from job to job, apartment to apartment." Unsatisfied with her work, she returned to Metta Earth for a nine-month stint. When that ended, in December 2016, she and her partner, a musician, moved to Burlington. There, Nunez got a job at City Market, Onion River Co-op as a rounds cook. She also apprenticed at Burlington's Spoonful Herbals, where she learned how to identify and preserve plant matter and turn the results into medicinal products. In the summer of 2017, during a difficult period in her personal life, Nunez found comfort in harvesting natural materials and drying them, steeping them in olive oil or tincturing them in alcohol. "It was a therapeutic way of dealing with what life handed me," she says. "My whole world became putting things into jars. It was my way of letting go and being with nature." After a season of gathering, with a closet full of supplies, "I thought, I have a lot of stuff here ... Maybe I can make something back for all of the oil and alcohol I'd bought," she remembers. Nunez introduced her products to the public in December at the Holiday Crafts and Wellness Fair at Railyard Apothecary in Burlington, her first vending gig. "I was shocked by how much positive feedback I got," she says with a smile. After tasting Nunez's Long Night Elixir — a reference to the winter solstice — one customer said it evoked the experience of walking in new snow on a woodsmoke-scented night, Nunez says. That reaction particularly pleased the maker because, she says, while blending the elixir, she was thinking of "a bonfire at midwinter, with a celebration and rich food. People are congregating around the fire, so there's some warmth there, but it's still tinged with the bitterness of the season." That elixir is available at her Etsy shop, along with 19 more of Nunez's products. She also sells locally at Mad River Distillers Burlington Tasting Room, Colchester's Mead Hall and Onyx Tonics Specialty Coffee in Burlington. Some of the merchandise goes out of state, too, to retailers such as Black Iris Tattoo in Brooklyn, N.Y., and Deadwick's Ethereal Emporium in Portsmouth, N.H. This March will be Old Growth Alchemy's busiest month ever. On March 3, she'll vend at the Winter Renaissance Faire, which has relocated to the Champlain Valley Exposition. On March 9, she'll host a cocktail night in concert with Groennfell Meadery at Colchester's Mead Hall. At the same venue, she'll be an Artist Alley vendor at the opening of the art show "The Changeling Gallery: March Metamorphosis" on March 31. 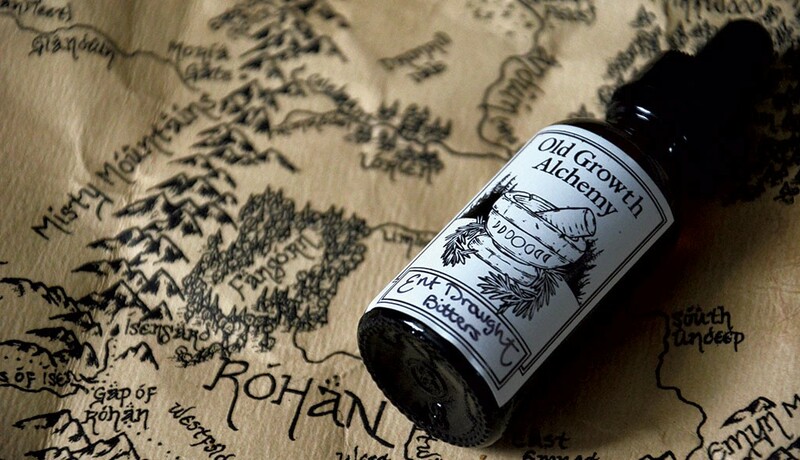 One of Nunez's current projects is making a "mead hall-scented" oil for Groennfell. The phrase may bring to mind roasting meat and sweaty men in armor, but Nunez has different plans. "Maybe let's not go literal mead hall," she says with a chuckle. She's aiming for an oil that smells a bit like honey — the raw material of mead — and a bit like the sea. As a test, she's currently infusing olive oil with the flavor of dulse, a type of red algae that can be eaten raw or cooked. Once the snow melts and green shoots spring up, Nunez will begin the process of gathering materials so she can stock up on old products and invent new ones. Originally, she says, she planned to make each elixir, bitter or incense just once and then move on. But her customers have been asking her to keep certain products around. If those products evoke something special for those who use them, Nunez is all for it. "Working with the earth helps me bring more wonder, joy and curiosity into my life," she says. "But the thing I love is bringing that sense of wonder to people and having that be a part of everyday life." In the fiction-inspired world of Old Growth Alchemy, salves hold magic and plants "whisper." "I like to follow my fascination," Nunez says. "I like to see who's saying: 'Pick me, work with me, taste me, touch me.'" *Correction, February 28, 2018: An earlier version of this story misidentified the name of the university Nunez attended. She graduated from the University of Massachusetts Dartmouth. Cocktail Night With Old Growth Alchemy, Friday, March 9, 5 to 9 p.m., at Groennfell Meadery, Colchester's Mead Hall. Free. The original print version of this article was headlined "Enchanted Forest"